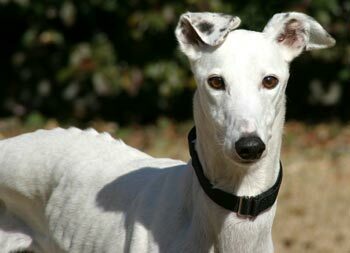 Pearl, aka LRC Pearl, is a gorgeous. 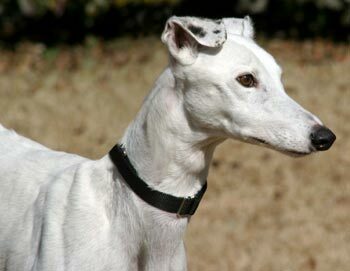 six-year-old white female born October 19, 2003. Her sire is Teamster, making her grand-sire the famous Molotov, and her dam is GALT’s own CY’s Paula. 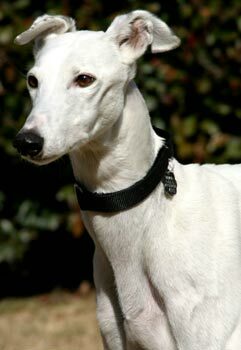 Handsome Sherman is one of her offspring; he was not individually registered with the National Greyhound Association, but 6 others are. 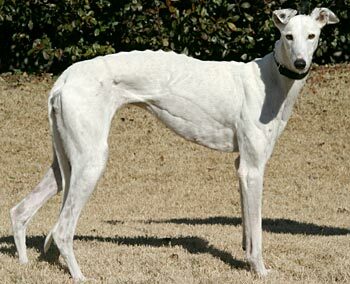 Pearl’s racing career began on September 25, 2005, at Derby Lane in St. Petersburg, FL, moving on and finishing at Corpus Christi, TX, on April 1, 2006. From there Miss Pearl went on to be a brood. All of those days are behind her, and Pearl is ready to find her forever home, couch and family! Pearl is cat tolerant and small animal tolerant.